First of all: Creating an account on our website and using our website is free of charge! 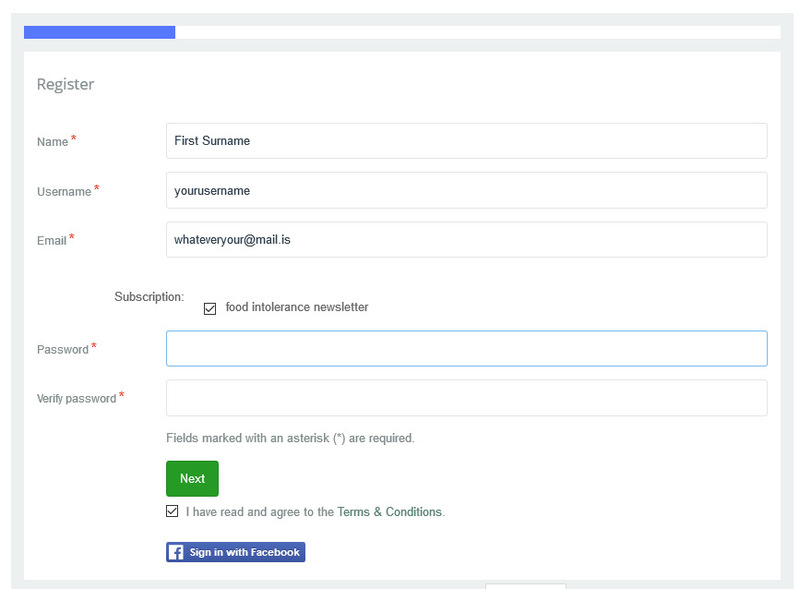 Just click on the facebook button in the login form and follow the instructions. The URL in your browser MUST be www.food-intolerance-network.com. Without www or any other url will NOT work! 2. 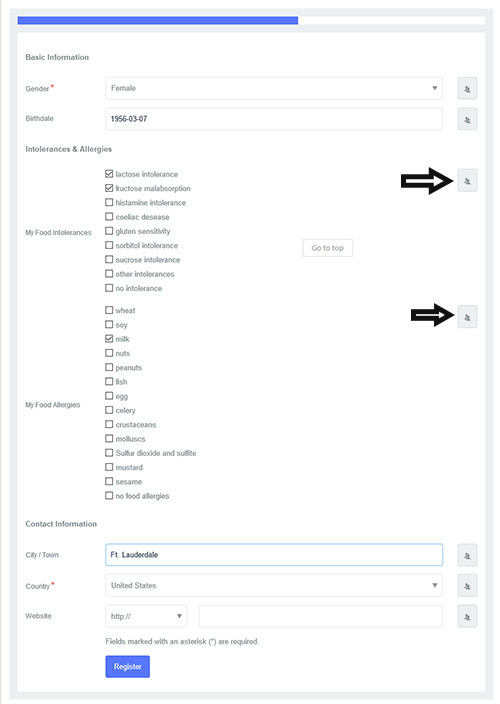 Fill in the user information you want to provide and click on "next"
3. Fill out the basic information and your intolerances and allergies (optional). Don't forget to change the privacy settings (see arrows on image below)! Click on "Register"
4. Now you may upload an avatar. Click on "Upload" and choose your avatar file. If you don't want to do that, click "Skip". If you're uploading an avatar please remember that YOU must own all rights on the image and that there's a maximum file size. 5. Your account has now been created but not yet activated! An activation link has been sent to your e-mail. You must activate your account by clicking on the activation link before you can login. So please login to your e-mail account and click on the link provided. After clicking the link in the second e-mail or after you copied it to your browser you should read: "Your Account has been successfully activated. You can now log in using the username and password you chose during the registration." Congrats! You're all set up! Well, if you copied the link, make sure you didn't just copy the first line of the link. Sometimes the link in the mail is so long, that it breaks down into 2 lines. Did you provide the correct e-mail address?